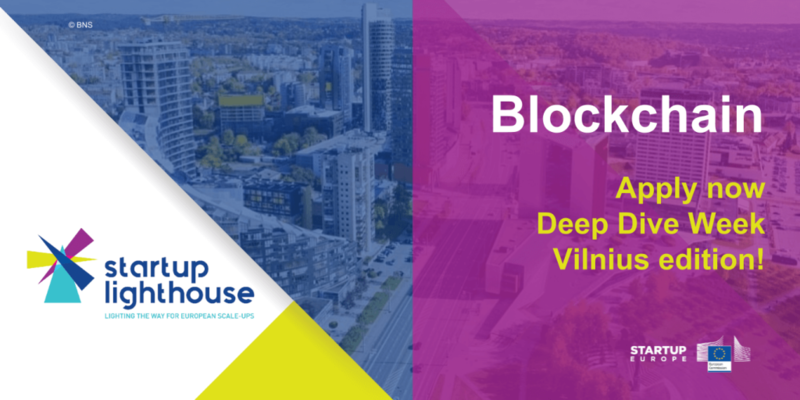 Startup Lighthouse is calling Blockchain startups ready to scale their business internationally to join the DEEP DIVE WEEK in Vilnius, 12-15 June 2018. Taking place in Vilnius, home to well known FinTech companies and successful ICO’s, the mini acceleration programme includes meetings with key stakeholders, site visits, networking and the exceptional opportunity to attend Startup Europe Blockchain Forum (Block Forum). Invited speakers include Bank of Lithuania, Startup Lithuania, Blockchain Centre Vilnius, Monetha, BitDegree representatives. Click here to see the DDW Vilnius agenda! Startups participate for free and get their travel expenses reimbursed. Get to know how it works! Applications open on F6S until Wednesday, 9 May – deadline extended. Apply Here!